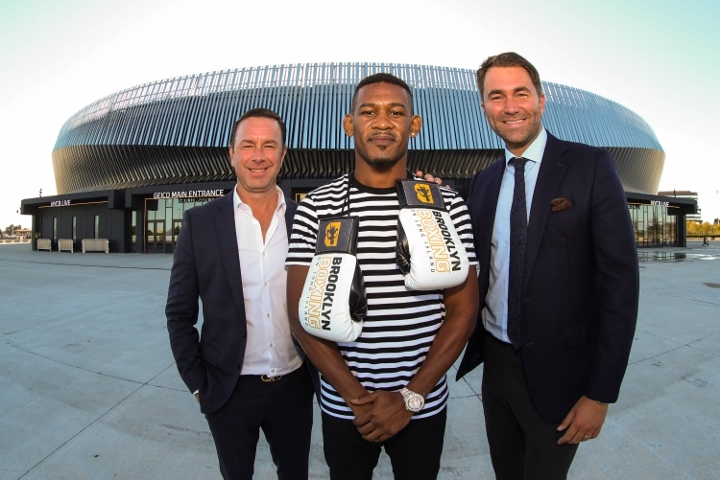 MY FIGHT: DANIEL JACOBS is narrated by Liev Schreiber. IN OTHER NEWS: Local favorite Frank De Alba will take on battle-tested Ivan Najera in the ten-round super featherweight main event on Tuesday night, November 21st at the Sands Bethlehem Event Center. The nine-bout card is promoted by King's Promotions. In the eight-round co-feature, undefeated Mykal Fox will battle Marlon Aguas in a welterweight bout. Aguas of Ecuador has a record of 9-1 with six knockouts, and is looking to get back in the win column after being stopped by undefeated Ivan Golub on March 25th in Miami, Oklahoma. Also in an eight-round bout, Victor Vasquez (8-3, 3 KOs) of Yonkers, NY will square off with undefeated Ricardo Garcia (14-0, 9 KO's) of Santo Domingo, Domincan Republic in a lightweight fight. Juan Sanchez (3-0, 1 KO) of Bethlehem, PA will take on pro debuting Derrick Pitts of Cincinnati, OH in a featherweight contest. Josephat Ortiz (2-0, 1 KO) of Reading, PA will fight Bryan Perez (2-8-1, 1 KO) of Carolina, Puerto Rico in a featherweight bout. Michael Polite-Coffie of Brooklyn, NY will make his pro debut against an opponent to be named in a heavyweight fight. Harold Lopez (1-0-1, 1 KO) of Allentown, PA will take on an opponent to be named in a bantamweight fight. [QUOTE=Disturbed;18141718]I wouldnt mind seeing him against Canelo at some point, would be a great fight for sure. [/QUOTE] Yeah, I hope he gets those fights. I just don't want to see another good fighter's career go nowhere chasing people down.